Paris, June 21st, 2011. Parrot, one of the leaders in wireless peripherals for mobile phones, announced today that its technology is integrated into Aston Martin’s latest supercar. This announcement is the result of the collaboration between Parrot, Skyships and Aston Martin. 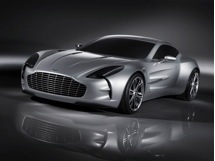 The solution supplied by Parrot is factory-fitted in the “One-77”, Aston Martin’s supercar sold worldwide. It is based on Parrot’s CK5050+ module. Its features include state-of-the-art hands-free telephony with advanced digital signal processing technologies such as noise reduction and echo cancellation. It also lets drivers enjoy the music from their mobile devices on the car’s audio system: the built-in connectivity ports to USB music devices allow drivers to choose their playlists straight from the car’s main interface. The “One-77”cockpit, with Parrot enabled connectivity features.